Georges Simenon ; translated from the French by Geoffrey Sainsbury. London : George Routledge & Sons Ltd., 1945. 320 pages. 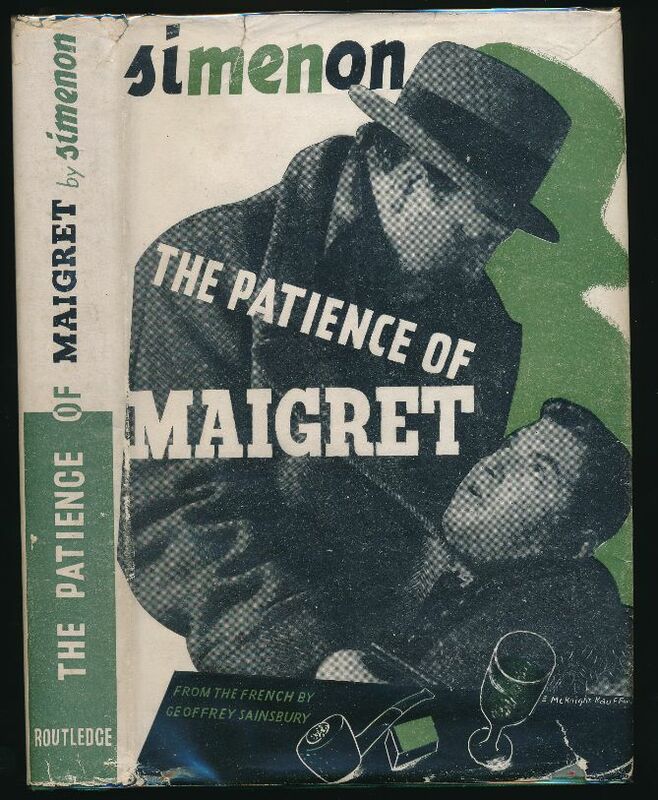 Contains two Maigret novels: 'A battle of nerves' and 'A face for a clue'. VG+ in G price-clipped, re-priced DW with wear and tear to extremities, grubby back panel, and internal repairs. Bottom of spine bumped.